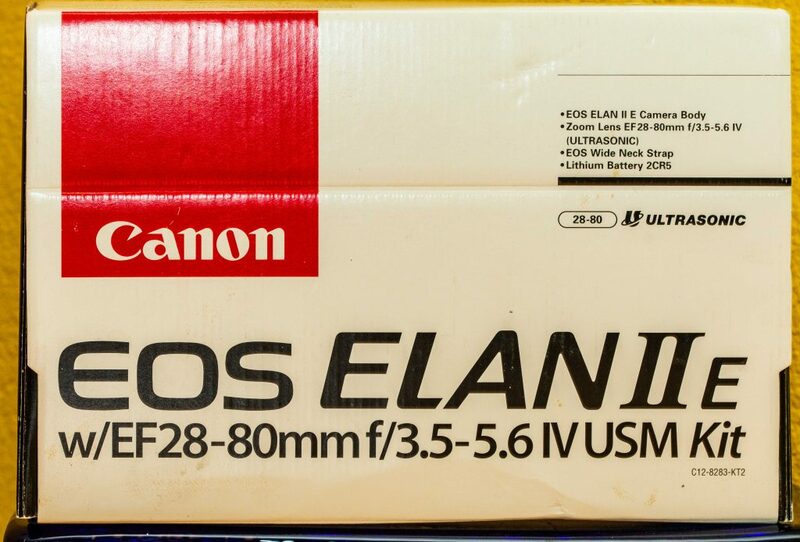 EOS Elan IIe with supplied EF 28-80 f/3.5-5.6 kit lens. 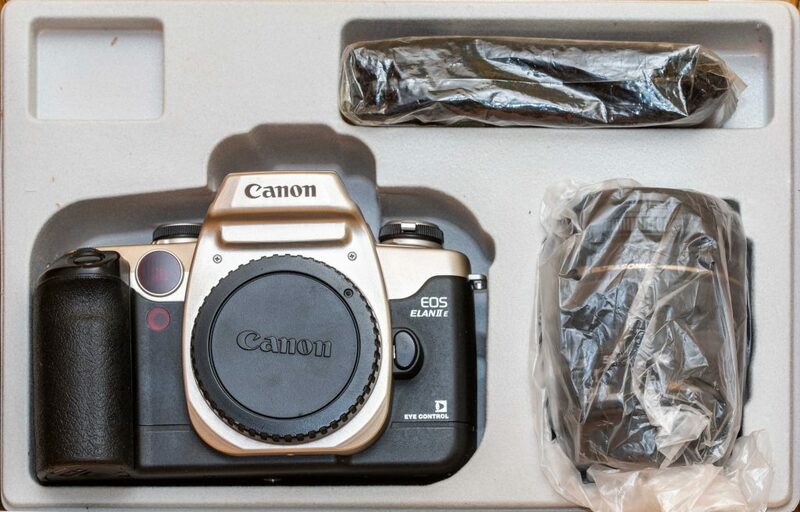 For my testing, I didn’t use the included strap nor lens – I used an aftermarket strap and the Canon EF 50mm f/1.4 USM. If you’re coming from a higher end film/digital EOS camera like I am, you’ll feel right at home with the Elan IIe: the camera features the big rear command wheel found on the bigger EOS bodies, and most functions, such as metering mode and drive mode, are adjusted with their own dedicated levers. The camera feels larger than my 650, but at the same time lighter. It’s quite comfortable with my larger hands. The shutter has a nice sound and recoil to it – that said, I wonder how it’ll affect my longer hand held exposures. 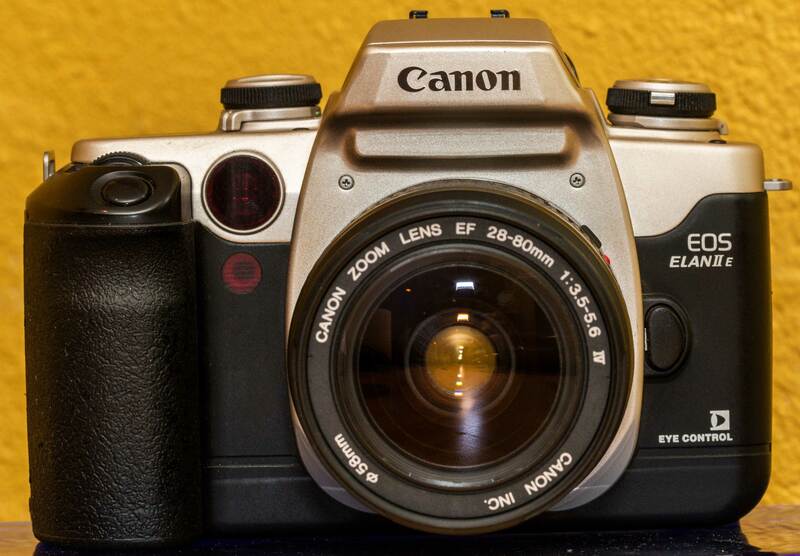 I’m a firm believer in Canon’s hype – once set up, it really works! It works really well, actually, and is super handy when doing macro or any other work where focus matters. For both of the sample shots shown here, all I had to do was look at the flowers and the camera focused in on them for me. 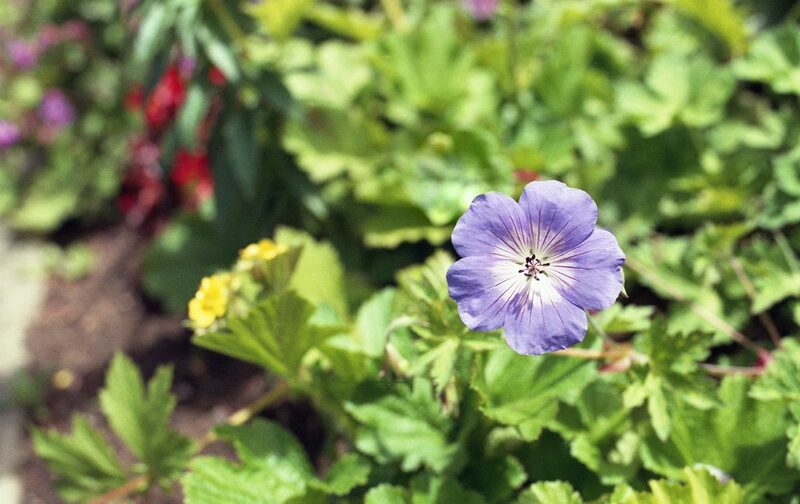 “Purple Flower 6” – Canon EOS Elan IIe, Canon EF 50mm f/1.4 USM, Fujicolor 200. 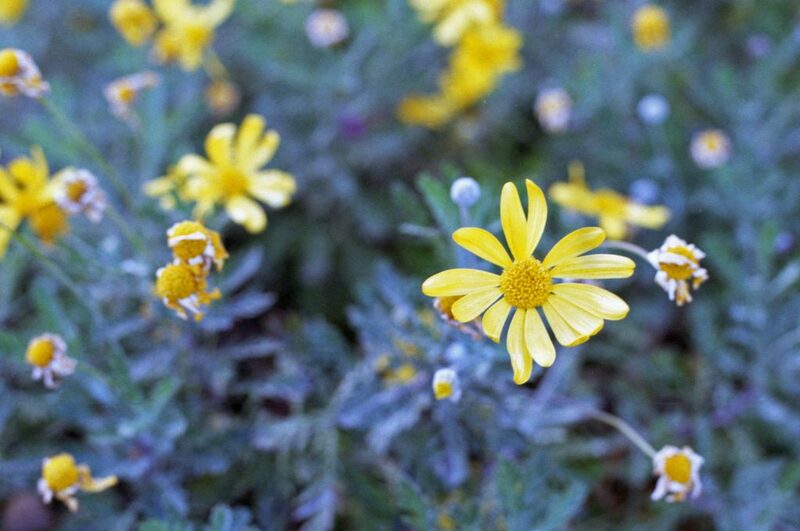 “Yellow Flower 4” – Canon EOS Elan IIe, Canon EF 50mm f/1.4 USM, Fujicolor 200.